The topic of vaccinations is a polarizing subject that sorely divides people, even close friends and family. My belief as a healthcare worker is that all families should be fully informed when making medical decisions for their children. This means you understand the benefits and the risks of any medical intervention, especially vaccines. And while I am not an epidemiologist or immunologist to give you guidance on how to specifically protect children against world disease, I did in-depth research on the ingredients in certain vaccines in this post. The involvement of aluminum adjuvant, polysorbate 80, and formaldehyde in the makeup of vaccines is listed clearly on the package insert. Which can be seen here if you like, scroll down to section 11. I can summarize the effect these ingredients have on the body in two words: carcinogenic and neurotoxic. 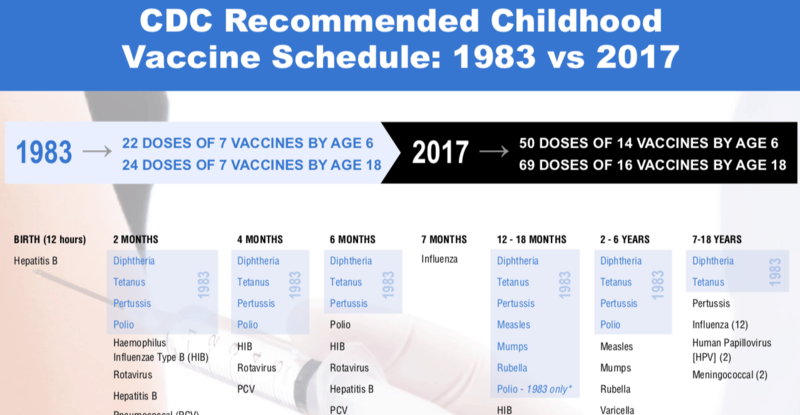 The governing bodies are recommending that today’s children be injected with almost three times the number of vaccines that was recommended when I was a kid. Regardless of your parental choice on the matter of vaccination, every parent should know how to detox children from vaccines. We may earn commission through some of our links. The content on this website is for informational and educational purposes only. This information has not been evaluated by the FDA and is not intended to diagnose, treat, prevent, or cure any disease. Please read our full disclosure for more info. If you would like information on a safe way protect your children from world disease, consult a local Naturopath who can give you guidance on the use of nodoses. The human body has many systems in place to aid in detoxification. The liver converts substances into forms more easily eliminated by the body. Such as elimination in the gut via bile or in the kidneys through urine. The intestines are home to “normal” gut flora that metabolize toxins and eliminate bad bacteria and viruses. It also delays absorption of heavy metals from our diet (FYI when you inject a heavy metal such as aluminum, it goes straight into the bloodstream and crosses the blood-brain barrier all at once). The kidneys filter the blood and excrete toxins in urine. Our heart brings blood to the lungs which can expel toxins as we exhale. Our skin excretes toxins through sweat. You may notice skin irritation in the form of a rash or eczema after vaccination. This is the body trying push out the poison to detoxify itself. The lymphatic system is the storage and shipping unit where white blood cells bring bad bacteria they have destroyed for removal. Our body is truly amazing and able to protect itself in many ways. Children however, do not have fully mature bodies. Children’s bodies are in a constant state of growth. A fetus takes 9.5 months to develop enough to survive in the outside world. You wouldn’t expect your newborn child to tackle addition or subtraction on the day he is born. In fact, it takes five full years for the brain to develop to 90% of the adult size. I refer to brain growth because it is easy to measure and conclude that a child’s brain is obviously not capable of doing the work of an adult brain. We cannot expect the other organs in the body to be at full capacity to filter and remove toxins in the same way an adult body is able. Even an adult’s body does not easily rid itself of heavy metals. A child’s organs are even more incapable. Babies are born with a full set of nephrons (the kidneys’ filtering units) but they are immature and will not reach their full capacity until 2 years old. The liver is also not functioning at its full filtering capability yet. This is seen outwardly when newborn babies turn yellow. It happens because of the buildup of bilirubin (the byproduct of the breakdown of red blood cells) and the immature liver’s inability to remove it efficiently. Substances like aluminum and mercury are difficult for the body to remove. Yes, there is a mercury derivative in the flu vaccine, called thimerosal and it is thought to metabolize faster than mercury found in fish. There is “inconclusive data” on whether or not this substance exhibits long-term neurotoxic effects. The World Health Organization claims that small doses of thimerosal are safe regardless of the repetitive exposure that children get in utero and through the CDC’s vaccine schedule. However, a literature review from the Journal of Applied Toxicology found that exposure to thimerosal can deplete glutathione (a neuroprotective enzyme), induce apoptosis (cell death), and cause other disrupting effects on cell metabolism. A healthy immune system can overcome the flu, and we aren’t injecting the mercury in fish right into our bloodstream. There is a reason why the GI tract has defense mechanisms in place to avoid absorbing toxic substances like mercury. The good news is there are natural things we can do to assist little bodies in expelling some of the toxins associated with vaccines. Keep in mind that after the first vaccination, a child will never again be completely free from toxins and we don’t know how the damage done will present itself in the future. My son is now prone to skin rashes when he wasn’t before. I am continously supporting his body through high quality nutrition, adequate rest, and plenty of time outdoors. Here are 4 simples steps to detox a child from vaccines. Vaccines cause inflammation and destroy good gut bacteria. First and foremost before you start to detox your kids from vaccine damage, you need to heal their gut. You can do this by adding fresh pressed juice from raw fruits and veggies to their diets, preferably organic. If you add apples to your homemade juice it tastes much better, however, if you have trouble getting it down the hatch, try adding spinach and cucumbers to smoothies. Both of these veggies are relatively tasteless when combined with fruits or nut butters. Here is my favorite juicer. It is a masticating juicer which means it gets the most juice out of the fruit and veggies without destroying the nutrients. It is also easy to clean. I love our Vitamix blender for making smoothies because it pulverizes every veggie to be unrecognizable by tiny eyeballs. You can buy them refurbished on Amazon for much cheaper these days. You also want to replace their gut bacteria with probiotics rich foods. Some great foods to offer include kefir, yogurt, fermented sauerkraut, Kombucha, or cheese made from goats milk. We have also found a very reputable probiotic company. They sell fermented, nonGMO, organic sugar molasses that contains 5 species of beneficial bacteria. Make sure they are getting plenty of time outside in the dirt. It sounds silly but the more time in nature children get the faster they return to health. Omega-3 fatty acids are healthy fats that are brain-protective and will reduce inflammation in the body. Cod liver oil is one of the best. It is high in fat-soluble vitamins A, D, and E.
You can give your child 1/2 teaspoon of cod liver oil orally, in a bottle, or rubbed on their belly every day, but especially after getting vaccines. Cod liver oil is an age-old remedy that should be a family staple. We give it to our son with a small oral syringe. He doesn’t mind at all because it is mildly flavored with lemon and peppermint essential oils. Before I was wiser to the ingredients of vaccines, my son received the flu shot. He subsequently started having seizures. 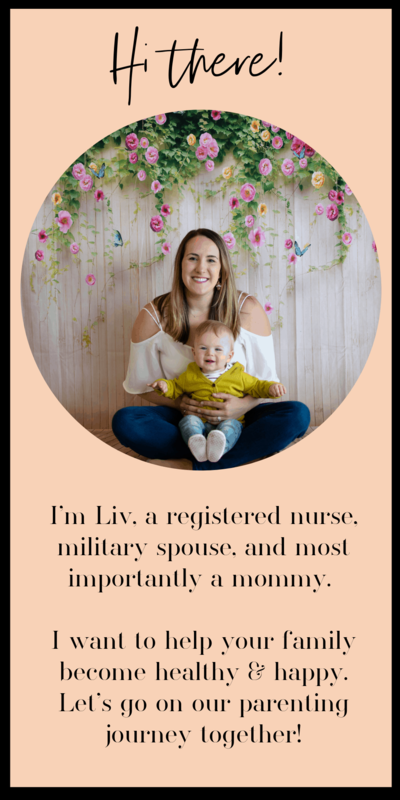 After going to a pediatrician, emergency room, and cardiologist, I had no explanation for the symptoms I was observing in my son. As an RN who has worked alongside physicians for years, I wanted to feel at ease with the absence of an official diagnosis from a wide variety of medical practitioners. My mama instincts and training on how to assess the human body told me otherwise. After speaking to a Naturopathic physician, and consulting my homeopathy group, I started a homeopathic vaccine detox protocol. This detox protocol simply involves dissolving one dose of Thuja 30C in a small amount of water completely in the morning. Then I gave one tsp of the water remedy three times a day to my son. This is to negate the ill effects of the vaccine. I also gave him Nat. Sulph 30C three times a day in conjunction with Thuja to help carry out toxins from the body. This can be done for seven days on seven days off, as many cycles as it takes for the ill effects to disappear. We did this for two full cycles. I kid you not, I haven’t seen a seizure since and there is a place for alternative medicine in my home and in my heart. Also, a few doses of Silica 30C will also help to push out toxins, foreign substances (like splinters for example), and heavy metals. It’s homeopathy’s general surgeon if you will! Chlorella and Spirulina are blue green algae that contains high concentrations of chlorophyll. Both of these are considered a superfoods because very small amounts of them contain high concentrations of extremely bioavailable vitamins. Chlorella is very useful at binding heavy metals and preventing them from being further absorbed by the body. Spirulina supports the body nutritionally. Ditch children’s vitamins and just use spirulina. Chlorella doesn’t taste very good, so you may have a hard time getting your little one to eat it. If your child is old enough to take a capsule, this would be the best way to get them to consume it. You can also try to hide the taste by adding it to a smoothie with banana and peanut butter. While you are actively detoxing your child from vaccines, give them a detox bath every night. A detox bath is a great way for them to sweat out toxins and replenish minerals. Our detox baths consist of warm water, epsom salt, and lavender essential oil. Allow your child to soak and play for at least 10 minutes each night. Having spent the last decade of my life in the conventional world of medicine, I was hesitant to accept the fact that the ingredients in vaccines could be poisoning our bodies. If your child is experiencing a vaccine reaction and you can’t find answers, get hooked up with a Naturopathic physician in your area. They are trained in the management of health versus the management of disease. It is our responsibility as parents to educate ourselves on the health choices we make for our children. This includes learning how to detox children from vaccines. If you are interested in learning about homeopathic prophylaxis against world disease, I highly recommend the course put together by Sue Myer from Homeopathy for Mommies. Sue has a wealth of knowledge on this subject. 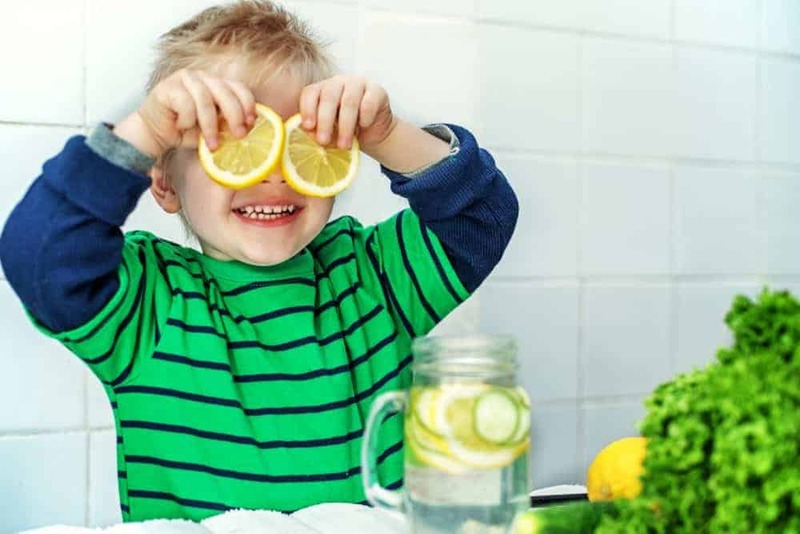 You may notice your child being extra tired or grumpy while you are detoxing. This is a good thing, it means it is working.